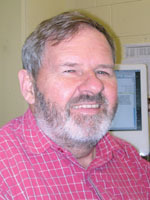 Allan G. Harrison is Associate Professor of Science Education at Central Queensland University. Allan taught biology, chemistry and physics to students in Grades 7-12 for 25 years before completing his MSc and PhD at Curtin University of Technology in Perth, Western Australia. He has taught science teachers for 10 years and has researched teaching and learning with analogies for 15 years and published articles on science analogies in all leading science education journals. Allan also studies the capacity of analogies to engender conceptual change. He brings to this book his personal practical experience in teaching with analogies in high school and his research on other teachers’ use of analogies. He believes that analogies, when used well, enhance students’ interest and knowledge in science. He hopes you will share with him his commitment to learning for understanding.